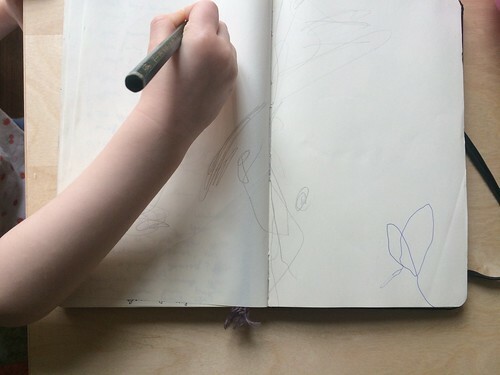 My Moleskin had been overtaken by my daughter. When she draws little circles they are either people or minions, probably a mixture of both. I am quite sure that her dad and I are both represented in the picture above. She is always drawing or paining, so no paper is safe from her. 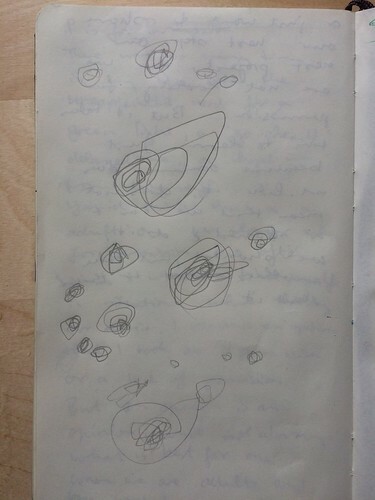 When I looked through my notebook, well there are quite a few artistic explosions. 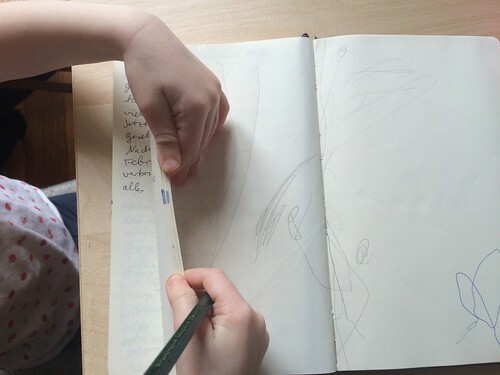 And when I wanted to write this #WeeklySmile post (yes they haven’t been weekly lately) she saw the page with her drawing on it and could not resist turing the page and continuing one of her other works. 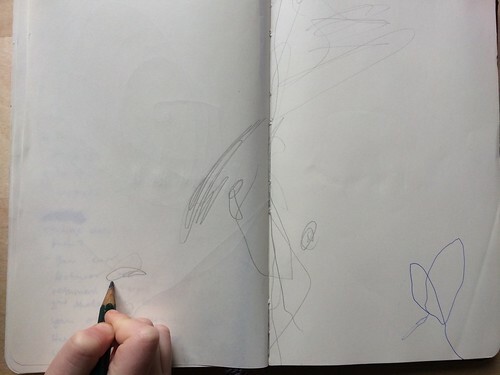 Well, my notebook is not there to be completely tuned into a two year old’s drawing, so I offered a blank sheet of paper in exchange for it. Did this make you smile? This post is part of the #WeeklySmile linkup, a weekly event hosted by Trent McDonald, you can find his and the other posts here, and join in with your own. What made you smile this week? And you can find out more about the #WeeklySmile here. My mother painted a lot, so art sure does run in the family. She’s already watercolour crazy, so I guess that at times I will share her creations. Lol. Yes, like what others said, very cute. Maybe it’s time for her own personal journal. One of my old bosses maintained his doodling habits and drew some kind of amoeba thing over everrything like important oapers in meetings so go figure. Nothing like illustrations to make a notebook. These will be what you treasure most as the years roll on.